It was my first time in Rome, and I was overwhelmed by the beautiful marvels of the Italian culture. I wanted to drink in every drop of Italy’s timeless charm and rich history – the sites, the churches, the fountains and steps, the sacred art, relics and the peaceful rows of olive trees high atop green mountains of winding cobblestone roads. Not to mention literally drinking in some of the best wine and coffee I’ve ever tasted! I had studied art for many years prior to visiting Rome – a searching agnostic who couldn’t help but to be deeply moved by the many sacred art pieces we observed and studied throughout the semesters. As it often was, the encounter with the physical work was a million times more powerful than its one-dimensional replica in my textbook. Yet, I always found that knowing the history of the piece – its inspiration and process of coming into being, its creator and their relation to the work, increased its value ten-fold. Awe for Michelangelo’s Pietà was something that every art historian, scholar, and apprentice alike has shared from the time of its creation. Its stone magnificence gave life to the most beautifully significant posture of the mother of God cradling her son Jesus’ lifeless body in her lap that the world had ever known. Awe can sometimes seem like an understatement, or at least that’s how I felt when I first walked through the doors of St. Peter’s basilica. It was sheer magnificence, a reflection of perfection, and almost too much to behold. I didn’t know it at the time, but only feet away from me stood Michelangelo’s prided sacred art. Yet, my eyes took me higher and higher up the walls and ceilings of the basilica as light streamed in from its decorated dome. I proceeded to follow our guide around the enormous church filled with impressive treasures of marble and sculptures at every turn. Each chapel was so carefully adorned, the many relics of saints further sanctifying its holy purpose. At last, the central papal altar under Bernini’s baldacchino, which he personalized by bronzing his own rosary in the structure, made me feel so small in relation to the supernatural space of grace. There seemed to be nothing greater than the magnificence of the chancel of St. Peter’s Basilica, and then, there it was – Michelangelo Buonarroti’s Pietà! It was so unassuming, as large as it was, tucked away in the first chapel to the right of the entrance. In fact, I nearly walked past it. But thankfully turning my head, I beheld a work of sacred art that I and many others had treasured by way of printed images and historical stories for many years prior to setting my eyes upon it. I had no idea how I would respond in that moment of encounter, so perhaps I was a little shocked when I burst out into tears and publicly wept, overwhelmed by the beauty of this one incredible sculpture. The very purpose of art is to illicit a response from the viewer, to connect and draw another into the reality of beauty, the encounter with self and creator, and to consider the greatness and weakness of man. It is therefore no surprise that much of the historical art created has also been sacred art, either through the artist’s own personal intention, passion, or through commission of a patronage who deemed it worthy of creation. The earliest Christian art is still preserved today, which had been hidden away on the walls of the catacombs in Rome only years after Christ’s crucifixion. It existed in many hidden forms until the adoption of Christianity by Constantine in the West, and suffered its own trials in the East during the Byzantine Iconoclasm. Sacred art has been lost through the destruction of buildings and churches in times of war, and its importance is so great that the looting and destruction of art has been used as a means to strip countries of their pride and cultural heritage (such as the Nazi and Soviet looting of Poland during WWII.) The Protestant Reformation put an end to the creation of Christian art in many Protestant countries, and ordered the destruction of many works of sacred art already created. Sacred art has been fought over, hidden, and destroyed – all because of its immense spiritual value and power to invoke a divine encounter with its viewer. It has been both illuminating and dangerous. How many people throughout history have been so moved by a sacred work of art, that they have contemplated eternity and in doing so changed their lives, being transformed in Christ? How many have found purpose, empathy, and an encounter with the creator through a profound painting or sculpture? How many of us can enter the Sistine Chapel and not find ourselves in awe? These are the proper responses to sacred art. Sacred art is true and beautiful when its form corresponds to its particular vocation: evoking and glorifying, in faith and adoration, the transcendent mystery of God—the surpassing invisible beauty of truth and love visible in Christ, who “reflects the glory of God and bears the very stamp of his nature,” in whom “the whole fullness of deity dwells bodily.” This spiritual beauty of God is reflected in the most holy Virgin Mother of God, the angels, and saints. Genuine sacred art draws man to adoration, to prayer, and to the love of God, Creator and Savior, the Holy One and Sanctifier. Pietà, Last Judgement), Leonardo da Vinci (Last Supper), Rembrandt (Prodigal Son), Caravaggio (Calling of St. Matthew), Raphael (Madonna, Transfiguration), El Greco (Burial of Count of Orgaz), Jean-Francois Millet (The Angelus), Salvador Dali (Christ of St. John of the Cross), William-Adolphe Bouguereau (L’innocence, Song of the Angels). These works could hang on a person’s wall for a lifetime, and with each season he will discover a new and more beautiful layer – just like a brilliant novel. 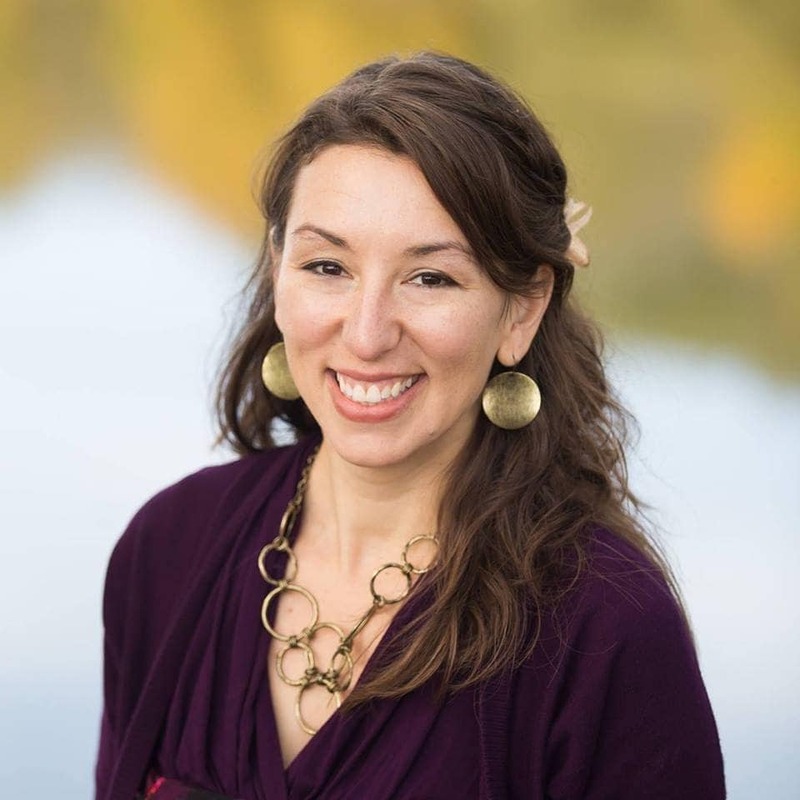 Perhaps the reason that sacred works are so incredibly powerful, far from discounting the immense talent of the artist, is the illuminating meaning and significance the work becomes to the artist, the commissioner, and viewers for ages to come. The personal stories of the artist’s real transformation throughout the process of creating a piece. Returning to the 1497 marble sculpture that took less than two years for Michelangelo to create – his Pieta depicts the meditative face of the young and beautiful holy grieving mother of Christ and the serene and saintly countenance of her dead son. 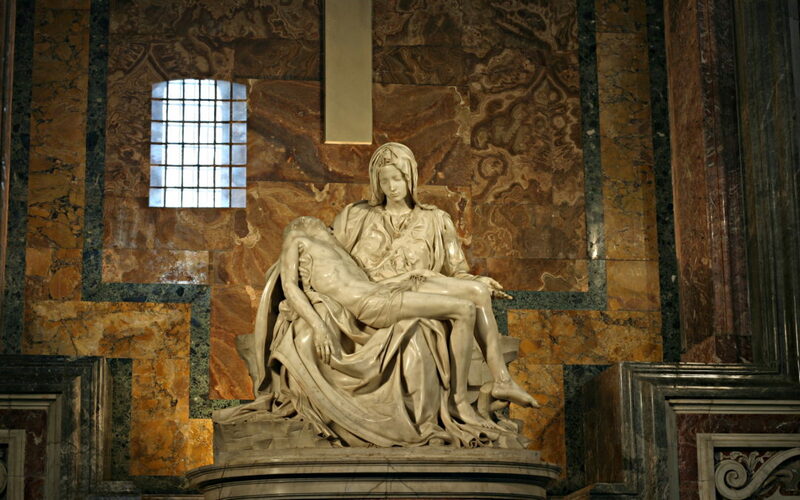 Michelangelo commented that he did not want the Pieta to represent death, but rather to “show the religious vision of abandonment and a serene face of the son of God.” His encounter with the divine in revisiting the moment Mary first held her son’s lifeless body, inspired in him a religious vision that was representative of one of the many aspects of those two holy individuals and that sacred moment in time and eternity. The Pietà is the only work that Michelangelo ever signed, and there is dispute as to why. Vasari’s biography of the artist views the addition of the inscription of the artists name as an afterthought and prideful outburst after discovering that the work was being attributed to another artist. Michelangelo felt so bad about adding his signature so prominently across the Virgin’s sash, that he vowed never to sign another work. However, others believe that the sash could have had no other purpose than to hold the artist’s signature. Yet the spontaneous writing (not carving) and revival of ancient Greek in the style of signature, as well as the association with his namesake in hinting divine inspiration make the speculation of this 25-year-old artist’s intent very curious. The mysteries and innuendos go on and on among the classic artists of these many sacred images. Their personal tragedies and successes, and even their very deaths are entwined in the beauty and agony they brought forth from marble and canvas. Perhaps they were divinely inspired, as they often describe the image coming to life and almost taking form on its own. Or perhaps it was more often the artist himself who was transformed through the process of encountering such grave and divine matter. Whatever the case, each of us has a lifetime to ponder the meaning and significance of these terribly relevant sacred images. 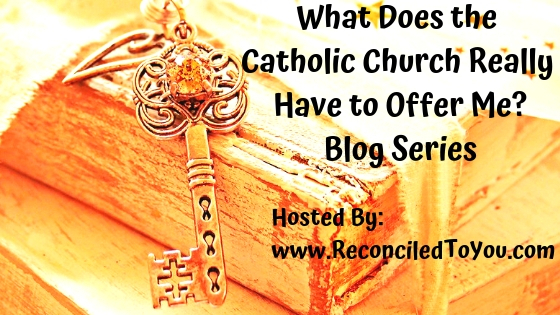 Check out the blog series featuring this article and many others, hosted by Reconciled to You: What Does the Catholic Church Really Have to Offer Me?